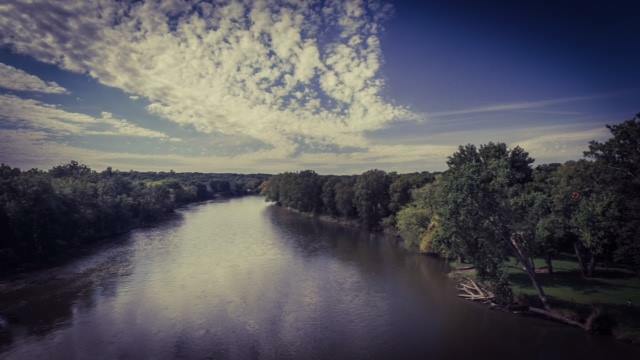 The beautiful Fox River meanders through our daily lives with a quiet grace that improves our communities. A Citizen’s Guide to Preserving the Fox River is a coffee table-style guide produced by The Conservation Foundation and the Fox River Ecosystem Partnership to profile the Fox River as a special place in our region that needs our help and protection and offer ideas for people to help the river and places to go to gain a better appreciation. Maps with lots of pictures so people get a better understanding of the Fox River and how we are all connected to it. Brief history (flora and fauna) of the Fox River, and how the River has changed over time. Special places within the watershed where people can go on short trips and experience nature and the Fox River (unique forest preserves, parks, nature preserves, sections of the river to canoe, etc. Real ideas on what people can do such as build rain gardens, install rain barrels, rainwater harvesting, river/creek cleanups, native landscaping, etc. You can view A Citizen’s Guide to Preserving the Fox River online – CLICK HERE. In addition to the Guide, a special website has also been developed to help people learn what others are doing in their communities to help preserve and protect the beautiful Fox, and what we ALL can do to help. Visit www.preservethefox.org to learn more. Photo by Naperville artist Ramon Nayar. See more at www.isosplash.com.